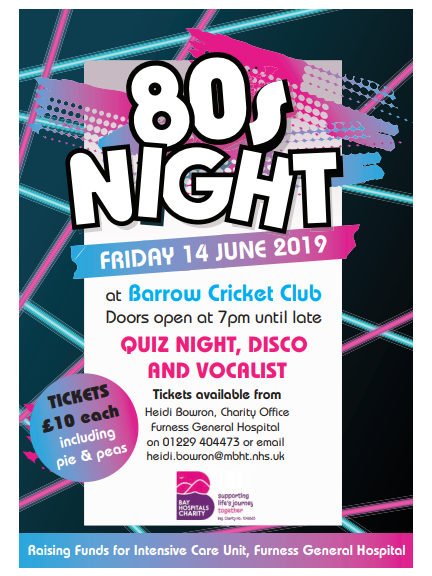 Step back into the 80's at this fabulous fundraiser at Barrow Cricket Club, for the Intensive Care Unit at Furness General Hospital. 80's Night at Barrow Cricket Club, raising funds for the Intensive Care Unit at Furness General Hospital. Quiz night, disco and vocalist.